1. Where can I find your books? Everywhere books are sold, including your local bookstore, Amazon, Barnes & Noble, iBooks, and Indiebound. Of course, your local library is a vital resource. If your library does not carry my book, please put in a request that they do. You can also pre-order my new book, Surpassing Certainty, here. 2. Can I buy a signed copy of your book from you? Not at this time. Hopefully we’ll meet in person so I can sign your copy at an upcoming speaking event or book signing. 3. Can I send you a personal message? Your support is appreciated and affirming, but I cannot read and/or reply to all emails. I try my best to set personal boundaries and am aware of my own limitations. It takes a lot to not only read deeply personal and often times traumatic messages but to craft appropriate responses. I also know I am not equipped to do such work. So if you’re struggling, I’d advise you seek online resources, local support groups and non-profits, and if you have access, professional help from a social worker or therapist. I try to make myself as accessible as possible for young women of color struggling to find mentors, guidance and reflection. Though it may take a while to receive a response, feel free to write a short message to contact(at)janetmock.com. However, I am engaged daily in conversations on Twitter (@janetmock), Facebook (janetmock), or Instagram (@janetmock), so try me there. 4. Can you signal boost my new project? Possibly. 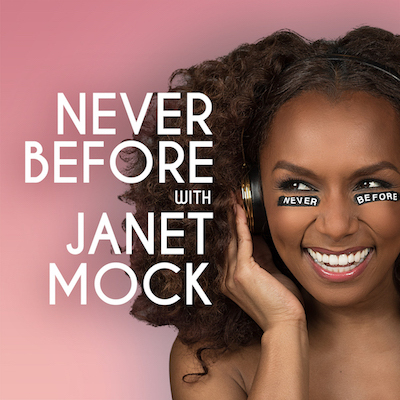 The best way to reach me would be to simply ask on Twitter (@janetmock) with a link to your project. If it moves, enlightens or speaks to me and aligns with my mission and work, I’ll likely share or retweet. 5. Can you come to my school, company or event to speak? I love sharing space and insights with people so much so that I spend the majority of my year on the road. You can visit this page to learn more about bringing me as a speaker. 6. Can you help me with my school project, paper or research? Unfortunately, I do not have the bandwidth to serve as a source, interviewee or advisor on your project. I’m cheering you on from afar, though. 7. Can you help me find a publisher and/or review my manuscript? I cannot accept unsolicited materials. I recommend that you reach out and query literary agents or editorial consultants — professionals equipped to guide you as you complete and pitch your work. Happy writing! 8. Can you review my script for a new project? I cannot accept unsolicited materials, but I wish you luck on your project. If this is a serious query about engaging me as a producer, writer, host or actor for a film or television project, you can email my representatives here. 9. Can I send you a copy of my book? Will you offer an endorsement or blurb? I cannot accept unsolicited materials, but I thank you for wanting to share your work with me. As for book blurb requests, I accept work for possible review from underrepresented writers in publishing through my literary agent, who can be reached here. Regardless, I hope to see your work on bookshelves everywhere! 10. Will you lend your name to my event, or sign my open letter? While I appreciate the invitation, I only lend my name to events for organizations I am actively engaged with. This is also a guiding principle for open letters, which are important statements and can be impactful tools. If yours directly impacts QTPOC and womanist/feminist of color communities, please send to contact(at)janetmock.com. Bonus* What hair products do you use? Everything! I am a curly hair product junkie. I tend to use moisturizing products that drench my curls, including cleansing creams (like Hair Rules), conditioners (like Curls and Shea Moisture), soft styling products (like Miss Jessie’s) and leave-in conditioners (like Cantu). I also love sprays from Oribe.